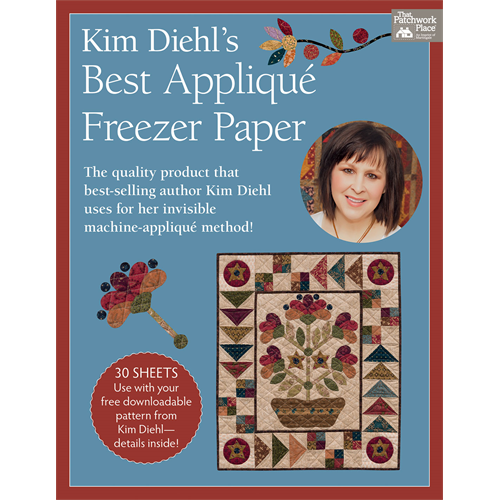 Discover Kim Diehl's secret to applique success! 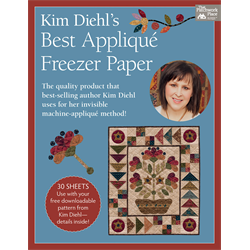 Ideal weight for preparing applique shapes; sturdy enough to produce stable shapes for stitching without being too heavy. Waxy side has just the right amount of "hold" when pressed onto fabric yet releases easily once your stitching is complete. 30 convenient 8-1/2" x 11" sheets lie flat for easy tracing and cutting.